Perfect for a milestone birthday, New Year's Eve party or an engagement party, these 15 oz. 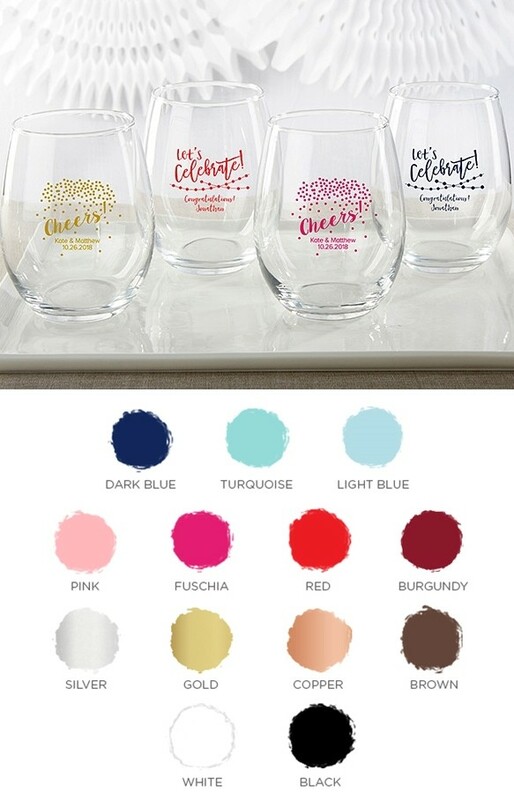 stemless wine glasses are available in your choice of a "Cheers!" or a "Celebrate!" design with two lines of your custom text printed in your choice of 13 ink colors. Sold individually. Hand wash recommended. Display gift-boxes are not included but are available for an additional fee.